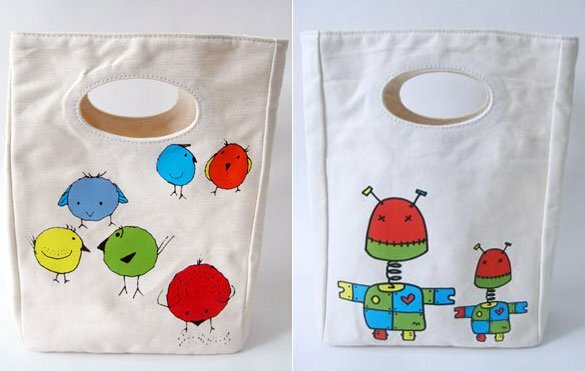 Update – Fluf lunch bags now in Australia! Another update on a fab brand that has reached Australia! In the nick of time for all those back-to-school purchases in January comes the mighty Fluf lunch bag! Fluf lunch bags are made from 100 per cent certified organic cotton with water-based inks, are washable, wipeable and rinsable with no toxins, phthalates, BPA or waste. We featured these great bags in May and now they’re available at Kindred Gifts in four designs for $26.95 each.